The massive wave of arrests launched by Lebanese security forces against opponents of the Syrian occupation earlier this month and the influx of Syrian military reinforcements have, by all accounts, inaugurated a new chapter in the troubled history of Lebanon's Second Republic. The arrest sweep, which netted nearly 250 opposition activists, is by far the most extensive attempt to forcibly suppress the Lebanese nationalist movement since Syria completed its military conquest of Lebanon in October 1990. It is no coincidence that the crackdown came just a few days after a historic visit by Maronite Christian Patriarch Nasrallah Boutros Sfeir to the predominantly Druze Shouf region. This event underscored the extent to which Lebanese Christians and Muslims have set aside sectarian differences in pursuit of national goals and objectives. For the Syrians, who have frequently told Western officials that their continued military presence in Lebanon is a hedge against sectarian divisions, this overwhelming display of national unity was viewed as an unacceptable attempt to embarrass Syrian President Bashar Assad ahead of the Francophone summit in Beirut this fall. 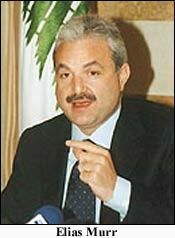 It is also no coincidence that the crackdown was launched while Lebanese Prime Minister Rafiq Hariri was out of the country on a state visit to Pakistan, or that Hariri and his allies in the cabinet were kept in the dark about preparations for the crackdown by members of the security establishment. While the legitimacy of successive puppet governments handpicked by Syria to run the country since 1990 has been questionable in the eyes of most Lebanese, the legality of the political process remained largely intact until now. In order to secure continued American and European acceptance of its authority over Lebanon, Damascus has hitherto maintained the veneer of a functioning democratic system in the country. Whereas the Syrian regime's rule over its own population has been arbitrary and lacking all but the most rudimentary pretenses of representative governance, its control over Lebanon has been channeled through executive, legislative and judicial institutions that appeared to function more or less constitutionally [see How Syria Orchestrates Lebanon's Elections in the August 2000 issue of MEIB]. While the individuals who held the reins of power in Lebanon were carefully vetted by their Syrian patron, governmental institutions operated within a framework of checks and balances. This has now changed. During the course of this latest crisis, Syrian officials and the Lebanese military-intelligence complex have repeatedly circumvented the Lebanese cabinet and seized direct control over the country. The mass arrests of "enemies of the state," the beatings of protestors by plainclothes security units, and the televised "confession" of a detained suspect all derive from the resounding failure of Bashar Assad's efforts to shore up Syrian hegemony over Lebanon through peaceful means. However, this power play has encountered tremendous opposition from Lebanese civil society and even within the Lebanese political establishment. During his three day visit to the predominantly Druze Shouf region, the first by a Maronite patriarch in over 200 years, Cardinal Sfeir was greeted by thousands of enthusiastic Druze and Christians at every stop. 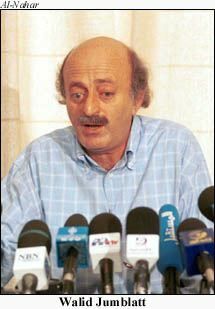 The high point of his tour came on August 4, when he arrived to a tumultuous reception in Mukhtara, the nerve center of the Druze community and the ancestral home of its leading politician, Walid Jumblatt. 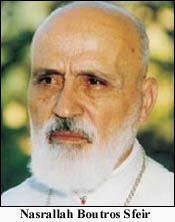 Speaking before an ocean of white-turbaned Druze sheikhs, Sfeir declared that the history of Maronite-Druze communal conflict, which led to outbreaks of fierce violence in 1860 and 1983-84, was consigned to the past. "The curtain has been lowered for good on this black past and now we must close ranks to defend freedoms and human rights in Lebanon." Sfeir also praised the Druze leader's late father, Kamal Jumblatt, who was assassinated by the Syrians in March 1977 after contesting its military intervention in Lebanon, as "a victim of his honesty and being true to himself." The Patriarch's visit was, of course, motivated by more than a mutual desire for reconciliation. Sfeir and Jumblatt have both become vocal opponents of Syrian hegemony over the last year and have found this stance to be enormously popular among their constituents. The visit was clearly calculated to cement this political alignment. The Syrians had very good reason to find this threatening. The first signs of a crackdown came on August 5, when five members of the Free National Current (FNC), a nonsectarian nationalist movement headed by Michel Aoun, a former army commander and prime minister who was ousted by Syrian military forces in October 1990, were arrested in Beirut while distributing the movement's weekly newsletter. That evening, in an apparent snub against the Syrians, Prime Minister Hariri once again urged Aoun to return to Lebanon during a television interview broadcast by NBN. "I still stand by my guarantee that nothing will happen to him." When Hariri first made such a call in January, the Lebanese judicial and security agencies (both of which are tightly controlled by Damascus) promptly contradicted him and pledged to arrest Aoun on charges of usurping authority during his tenure. After a sharp rebuke from the Syrians, Hariri quickly backed down and refused to comment on the issue. A similar pattern has emerged with respect to other hot button issues - Hariri attempts to assert his authority vis-à-vis President Emile Lahoud and the security agencies (e.g. by questioning the wisdom of Hezbollah attacks against Israel), then backs down temporarily after being berated by Damascus and its Lebanese allies. His decision to renew calling for Aoun's return earlier this month was, to say the least, not appreciated by the Syrians. After Hariri and Defense Minister Khalil Hrawi departed for a state visit to Pakistan, the security forces sprung into action. On August 7, security forces began a massive sweep against the FNC, arresting over 140 of its members, including the group's national coordinator, Nadim Lteif, his second in command, Hikmat Deeb, and FNC spokesman George Haddad. Security forces also stormed offices of the banned Lebanese Forces (LF) party in the Antelias quarter of east Beirut and arrested around 40 activists, including senior LF official Salman Samaha. 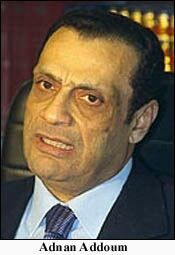 Toufic Hindi, an advisor to the LF's jailed leader, Samir Geagea, was later arrested at his home. Altogether, nearly 250 people were taken into custody by the end of the day. One of the detainees who was later released, Dr. Mario Aoun, an endocrinologist and head of the FNC Shouf branch, gave details of the raid in a subsequent interview with the Beirut daily Al-Nahar. "We were in the meeting and suddenly they stormed the offices . . . they asked us to stay behind the tables and took away our mobile phones. 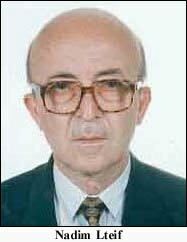 Then they started ransacking the offices and computers and they took us all down and stuffed us like sardine cans in army trucks," recalled Aoun. Most of the FNC detainees were taken to the Defense Ministry at Yarze, east of Beirut, where they were packed together in a 120 square meter sun-baked holding cell. "They took our watches so that we lost track of time and gave us only one bottle of water to quench our thirst. We slept on the floor with no mattresses or blankets," said Aoun. "We did not know why we were arrested. They did not tell us anything and cut us off from the outside world," he added. The crisis escalated on August 9, when hundreds of protestors demonstrated outside the Justice Palace in central Beirut, demanding the release of the detainees. At around 12:30 PM, bands of plainclothes men wearing black shirts arrived on the scene and began roaming through the crowd, beating and abducting protestors at will. One witness reported seeing the assailants shove two men into the trunk of a car; another witnessed a young man being beaten up and thrown into a brown BMW. Two FNC activists were pulled off of mini-buses and taken away. At least ten people were abducted and over 30 injured by the assailants, who also confiscated and destroyed the cameras of nearby journalists. Strangely, when red-bereted Lebanese riot police intervened, the plainclothes men openly assaulted several police officers, leading several Lebanese newspapers to report erroneously that the assailants were Syrian intelligence agents. In fact, MEIB has learned that the black-shirted figures were members of a "security guard company" owned by Elie Hobeiqa, a Lebanese former militia warlord with close ties to Syrian intelligence. Although they are technically Lebanese nationals, many of them are newly-naturalized Syrians (who can be moved to do amazing things when threatened with the revocation of their citizenship). Shortly after the fiasco outside the Justice Palace, Lebanese officials announced that Toufic Hindi and other high-ranking LF officials had been in contact with Israeli officials and produced a video tape of Hindi's interrogation which appeared to confirm the allegation. Two journalists said to have been in contact with Israel were subsequently taken into custody [see An Israeli-LF Plot? in this issue of MEIB]. Lebanese judicial officials attempted to use the alleged LF-Israeli plot as a justification for the crackdown, which mainly targeted the secular nationalist movement. However, investigators were unable to produce any evidence linking Israel to the FNC, which unlike the LF staunchly opposed the Israeli occupation of south Lebanon and has categorically rejected Israeli overtures to the movement. The severity of the charges filed against Lteif and other FNC activists led an estimated 1,000 Lebanese to apply for immigration visas at the Australian and Canadian embassies during the first week of the crisis. Patriarch Sfeir, who has expressed disapproval of the massive outflow of Christians from the country in recent years, reportedly began pressuring the embassies not to grant visas to the mostly Christian applicants. Prominent political elites across the sectarian and ideological spectrum immediately condemned the crackdown and accused President Emile Lahoud of transforming the country into a police state and plotting to undermine the dramatic display of Christian-Druze reconciliation that took place in the Shouf. Others questioned the constitutionality of the crackdown, noting that the Constitution stipulates that the cabinet must authorize all actions taken by the army. Likewise, many prominent Sunni Muslim political figures expressed opposition to the crackdown. "The authorities made a huge mistake by arresting some young people because of their beliefs and positions . . . we don't believe that repression is the way to deal with the opinions of others," said former Prime Minister Selim al-Hoss.11 While most Shi'ite political and religious figures declined to criticize the arrests, leftists such as former MP Habib Sadeq staunchly condemned them. National and local professional associations almost unanimously condemned the measures. The Beirut and Tripoli Bar Associations declared a nationwide strike and urged all lawyers to stay away from the courts for two straight days. The president of the Tripoli Bar Association, George Mourani, went so far as to call the crackdown "a coup d'etat against democracy." The Federation of Lebanese Engineers and the Physicians syndicate held emergency meetings to condemn the arrests. The crackdown inspired a number of demonstrations among the Lebanese diaspora. An estimated 500 Lebanese Canadians demonstrated outside the Lebanese embassy in Ottawa on August 13 and a similar protest took place near the Lebanese consulate in Montreal. On August 24, around 8,000 Australians of Lebanese descent held a candle light vigil in Sydney to demonstrate support for Lebanese democracy. Other demonstrations by Lebanese in Washington and London drew hundreds of participants. As the crisis escalated, however, American officials suddenly began to explicitly criticize the crackdown. The head of the Lebanon, Syria, and Jordan section at the US State Department, Richard Erdman, reportedly told Lebanon's Ambassador in Washington, Farid Abboud, that his government should abide by the international civil and political rights conventions it has signed. On August 22, the US embassy's deputy chief of mission in Beirut, Carol Kalin, met with Justice Minister Samir al-Jisr and stated that "the detentions violated the law and undermined freedoms. "14 It was widely speculated that this abrupt turn around in US reaction came after Hariri asked American officials to condemn the crackdown. After the August 7 arrests, Lebanese cabinet ministers loyal to Hariri and Jumblatt publicly complained that Interior Minister Elias Murr and the chiefs of the country's military-intelligence complex had overstepped their authority. "The intelligence services should have at least warned government members," complained Information Minister Ghazi Aridi on August 8.16 "What is the source of decision-making? Who shoulders responsibility for what happened? Who rules Lebanon?," declared Minister of State for Administrative Development Fouad Saad.17 Other members of the Hariri and Jumblatt camps, such as Justice Minister Samir al-Jisr, Minister of State Pierre Helou and Minister for the Displaced Marwan Hamade, expressed similar reservations. When the cabinet convened on August 9, President Lahoud and several stridently pro-Syrian ministers promptly demanded that Hariri and his allies approve the release of a cabinet decree endorsing the arrests. According to an account of the six hour debate published by Al-Nahar, Hariri initially refused to lend political cover to a crackdown that he had been deliberately made unaware of, declaring "I refuse the stratagem of dictating fait accompli." Ultimately, the majority of the ministers agreed upon a vaguely-worded statement which praised the army as the "guarantor of civil peace and defender of the nation's dignity," but did not explicitly endorse the arrests and asserted the cabinet's constitutional authority over the security services. Divisions were also evident with regard to the media's coverage of the arrests. 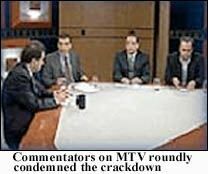 Murr Television (MTV), which broadcast live coverage of the August 7 arrests and hosted dozens of guests criticizing the crackdown on its political talk show Sajjel Mawqif that evening, came under fire from the state-run National Media Council, which accused the station of mobilizing public sentiment against the regime. President Lahoud and several ministers close to Syria brought forth a cabinet motion to close down the station. The following week, Damascus successfully pressured the Lebanese parliament to approve amendments to the Criminal Procedures Law that revoked measures previously introduced to shield suspects from prolonged detention without trial. "I know the amendment motion is unconstitutional," a solemn Hariri told his parliamentary colleagues, "but I am going along with it because otherwise there will be a political crisis the country can do without." Although the amendments were passed on August 13, dozens of MP's stormed out in protest prior to the vote and several openly pleaded with Hariri and Parliament Speaker Berri to resist "external" pressure [see Parliament Reluctantly Caves into Syrian Pressure in this issue of MEIB]. As political commentators and editorialists across the political spectrum lambasted the parliament vote as a mortal blow to democracy, Damascus broke its official silence regarding the crackdown and openly pledged support to Lahoud and the Lebanese military. "President Assad has reaffirmed Syria's absolute support to President Emile Lahoud, to the commander of the Lebanese army, and to the Lebanese government, people and resistance," Syria's official news agency announced on August 14. 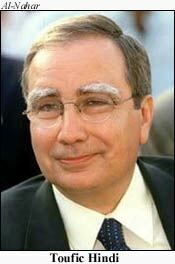 Shortly thereafter, Hariri summoned Aridi and three other loyalist cabinet ministers - Finance Minister Fouad Siniora, Minister of the Displaced Marwan Hamade, and Minister of Administrative Reform Fouad Saad - to Sardinia and the four quickly departed on board the prime minister's private jet. While the acrimonious struggle between the Lahoud and Hariri camps of the Lebanese regime may have been temporarily papered over to avert a complete economic meltdown, this month's crackdown is nevertheless a political watershed. The Syrian-authorized arrest sweep launched by the military-intelligence complex heralds the failure of Syria's attempts to appease the Lebanese opposition by putting a kinder and gentler face on its military occupation. While Syria's partial withdrawal of forces from Beirut in mid-June [see Under Duress, Syria Pulls Troops out of Beirut in the June 2001 issue of MEIB] may have solidified Western backing for its continuing military deployment in Lebanon, it did little to undermine the growing chorus of voices inside Lebanon itself calling for a complete pullout. When Israel withdrew from central Lebanon in the mid-1980's, resistance to its continuing occupation of south Lebanon did not diminish as expected, but increased and intensified. Assad is learning the same harsh lesson. 1 Al-Nahar (Beirut), 6 August 2001. 2 Al-Nahar (Beirut), 10 August 2001. 3 Tele-Liban TV (Beirut), 8 August 2001. 4 LBC Television, 8 August 2001. 5 Al-Nahar (Beirut), 15 August 2001. 6 The Daily Star (Beirut), 22 August 2001. 7 The Daily Star (Beirut), 9 August 2001. 8 Al-Nahar (Beirut), 11 August 2001. 9 The Daily Star (Beirut), 9 August 2001. 10 Al-Nahar (Beirut), 14 August 2001. 11 The Daily Star (Beirut), 9 August 2001. 12 Syrian Arab Republic Radio (Damascus), 8 August 2001. 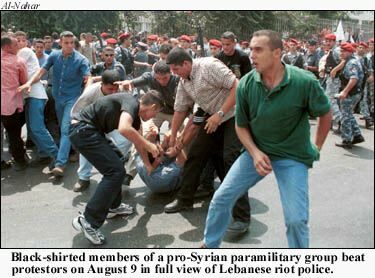 13 The Daily Star (Beirut), 10 August 2001. 14 The Daily Star (Beirut), 23 August 2001. 15 AFP, 19 August 2001. 16 Agence France Press, 8 August 2001. 17 The Daily Star (Beirut), 9 August 2001. 18 The Daily Star (Beirut), 10 August 2001. 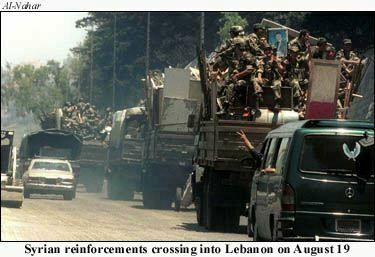 19 Al-Nahar (Beirut), 11 August 2001. 20 Al-Nahar (Beirut), 17 August 2001. 21 The Daily Star (Beirut), 22 August 2001. 22 Al-Nahar (Beirut), 25 August 2001. 23 AFP, 18 August 2001. 24 Al-Nahar (Beirut), 11 August 2001.